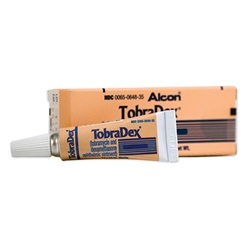 Sterile TobraDex 0.3% - 0.1% ointment in 3.5 gm tube. Multiple dose antibiotic an steroid combination for topical use. 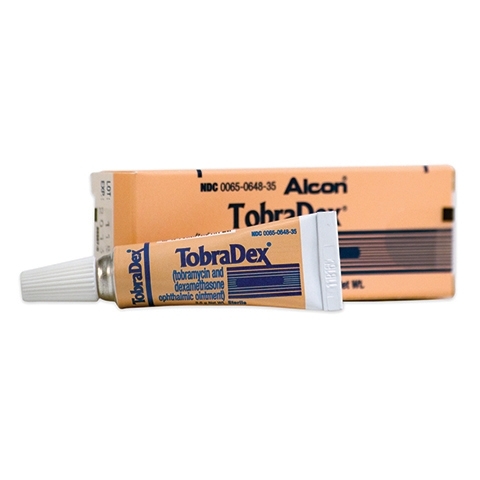 Generic drug name is Tobramycin/Dexamethasone. Manufactured by Alcon. NDC Number: 00065-0648-35. Comes as singles.